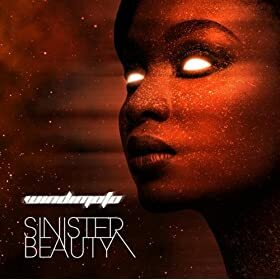 Sinister Beauty is the latest offering from Windimoto and the follow up to their The Travels Of Windimoto EP. The sub-genre Deep House has always served two functions in my opinion; it’s good dance music in the forefront and laid-back groovy enough to still be enjoyable in the background. This album is definitely more of the former and a definite indicator that house music is not dead. The title track is “Sinister Beauty” and “A Penthouse View” are two of the standouts of this album. DJ Sean Haley and producer Scorpeze incorporate a lot of 80’s soul, disco elements and percussion instrumentation in order to craft these gems. Conga drums are noticeable throughout the project. While a majority of the album is dance heavy it still has tracks like; “There Are Better Days For Us” and “Love You More (Holding On)” which blend rich vocals with down tempo beats that walk the fine the line between dance and lounge music. The sequencing between tracks even for a short album is really good. The “Smooth It Down (DJ Sean Haley’s Negra Luna Mix)” is another example of how their able to blend good dance music with laid back grooves that don’t overpower the listener, but rather are funky enough where dancing is still optional. The one track I couldn’t really get into was “Three Scenes”. While I’m a fan of spoken word poetry it just didn’t resonate with me. I respect their attempt to incorporate a different element, but it just didn’t mesh with the overall feel of the album. With that said, it’s still a very good album. I would’ve preferred maybe two more songs but that’s just me speaking as a house fan. It’s been two years since we last heard Windimoto and this album serves notice to the progression of their sound. They picked up right where they left off with a soulful and funky record.